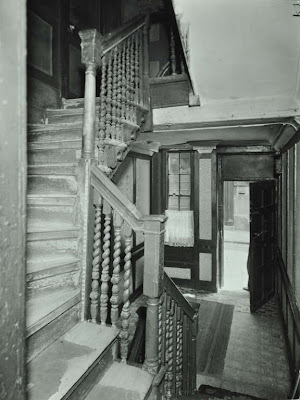 Another photo discovered showing the entrance to No. 29 Albury Street taken around 1956-7. This must have been taken when we were growing up here but for the love of me I can't remember who took this photo. 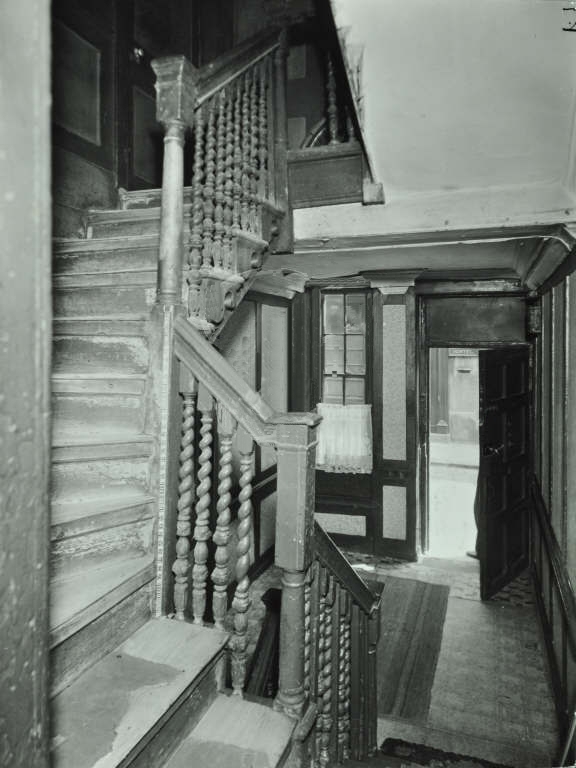 The original stairway shows the exceptional craftsmanship especially the "Barley Twist" Bannister rails. Top left hand doorway was to my Uncle France's room. France, as we knew him, was an incredible man. His life was filled with trauma yet he always managed to conceal his past. It was only in his later life that he would open up and mention his past experiences. In 1938-9 he was fighting for the Royalists in the Spanish Civil War. During this conflict close members of his family were shot but he managed to escape from Spain by swimming from the Spanish coast to Gibraltar, an extraordinary feat in its self. He came to England on a cargo boat which docked at Deptford. After walking the streets looking for shelter on a very wet and stormy night he knocked the door of No. 29. My Gran took pity on him a took him in. From that day forward he was always known as Uncle France to us. He was a very kind and gentle man. His eyes were always full of warmth and love. He had a way with songbirds, especially canaries. They would have no fear of him when he was in the aviary. They would all settle on him quite content to feed from his hand and lips. With hindsight he was just like Frances of Assisi I suppose. A wonderful man. I will never forget him. a tear to my eye brother. i remember giving him his birthday gift of a poster of "El Cordorbes" a very famous Matadore, that me and you bought for him with our pocket money, which was scarce in those days to say the least ! He was truly a man whose past lingered with him for many years, yet had a lust for life which was denied his brothers and many of his countrymen.he will always have a special place in our hearts . Same as that John...I always wondered where that poster went?